Marshall University’s Green and White Day experienced a change to better give potential students the opportunity to see all academic opportunities offered at Marshall. Previously, potential Marshall students would visit colleges at Marshall based on major choice and primarily focus on that major and all the offerings within it for an afternoon. Now students can see all the majors and programs that that Marshall offers. Students engaged with the faculty in the Rec Center to discuss their opportunities. 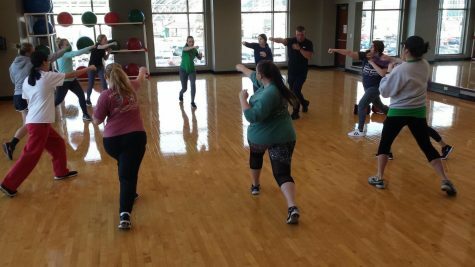 “This is a great opportunity for potential students to see all Marshall has to offer,” Marilyn Fox, program manager for the College of Health Professions, said. Academic programs and clubs were invited to attend Green and White day. Jarod Lewis, computer science major, said it is a great opportunity to see more from Marshall. Andrew Dolin, a high school student from Ripley, said he was able to expand his choice of major from Green and White day. Susan Braley, accompanying Dolin, said she also enjoyed the set up of the room.